This is some serious eye candy. 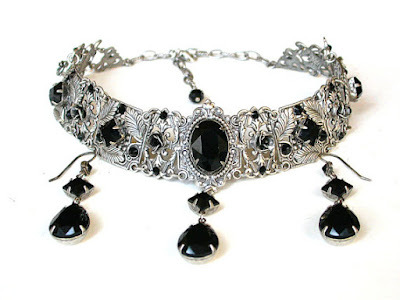 These beautiful pieces of gothic jewelry by Le Boudoir on Etsy are magnificent. They're a little pricy, but it might be worth it for their uniqueness and the careful attention to detail employed in creating them. 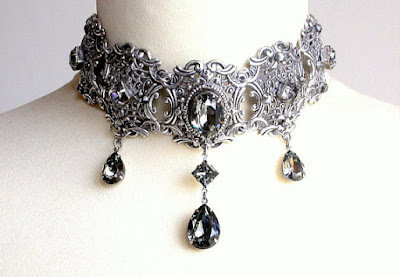 The metalwork on this silver gothic choker is amazing. This fits a villainous queen. 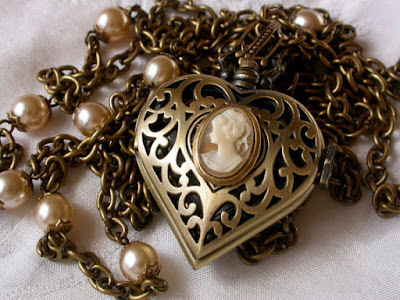 If you were to pass down a piece of jewelry, this heart pocket watch pendant necklace is perfect. It's an elegant piece of steampunk jewelry. 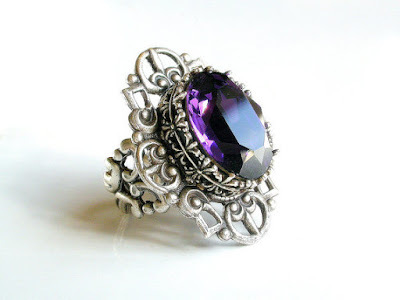 This gothic purple Swarovski ring is mystical. It emits an ominous glow that is fitting for your dark soul! 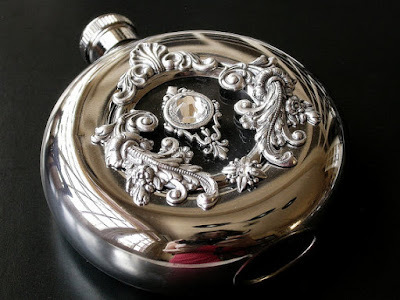 I want to get away with getting this luxury stainless steel liquor flask. Don't you think this looks like a stopwatch? The bloody red color is absolutely amazing. 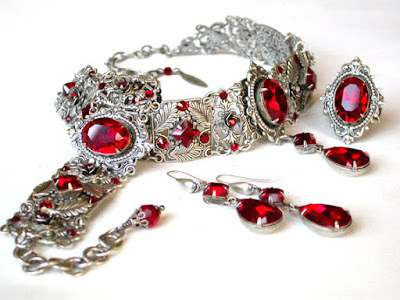 The Victorian red gothic bridal jewelry feature sinister gems framed by very Victorian metalwork. Have you heard of steampunk sailors? 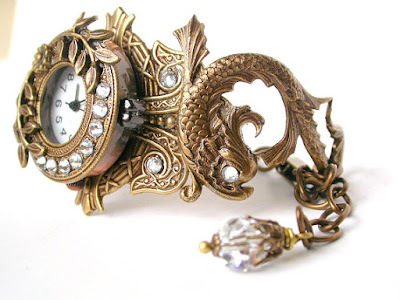 I imagine someone in the steampunk world sailing across the grand sea wearing this mythical koi fish bracelet watch. It's stunning isn't it? 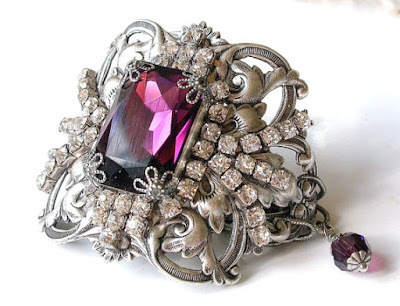 This Victorian Amethyst Swarovski bracelet is bold and brilliant. 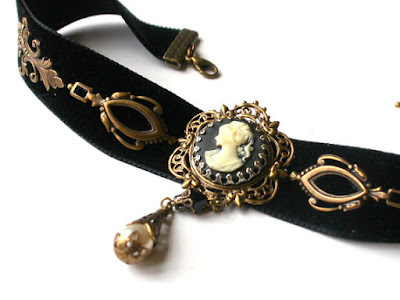 You could wear this Victorian black velvet choker with anything. I love the haunting image against the black background. 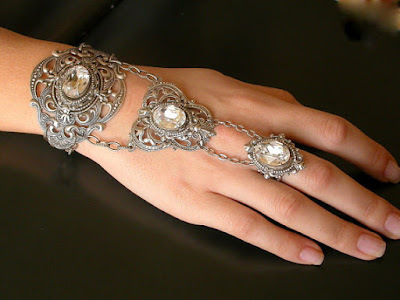 You could be incredibly seductive with this romantic silver bracelet. 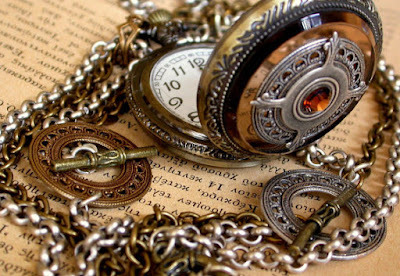 The most perfect accessory for any steampunk lover has to be this steampunk pocketwatch necklace. It's absolutely versatile and can be worn in many ways. 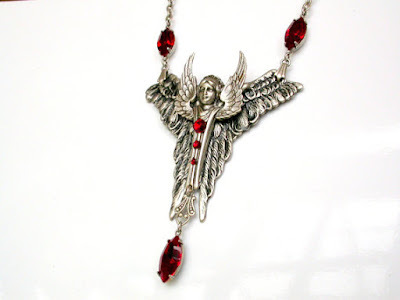 The angel wings gothic necklace is beautiful and tells a story of sadness and possibly violence. It is also an incredibly beautiful piece. I enjoy the black diamonds on this Victorian gothic bridal necklace There's a dangerous energy emitting from this necklace! I really don't mean to tease you with all these gorgeous and expensive pieces of jewelry. Take a look at other pieces of gothic jewelry and accesories by Le Boudoir on Etsy. Make sure to comment below!